It is 2013 and Jack Morrow, 12, is visiting his mother's grave while his dad explains that while he is in jail, Jack will be staying with his aunt. Not at all happy about this, Jack rubs his hand on his mum's gravestone, memories instantly start to flooding his mind and he finds himself in the graveyard in 2008, the year his mum died, with a man claiming to be his dead granddad. But before anything can be explained to Jack, dirt and dust start swirling into human shape, Dustmen, his granddad calls them, and tells Jack to find a gravestone from 1940 and to go there and find his younger self and that Jack must protect the powerful Rose of Annwyn Not knowing what he is talking about, but threatened by the Dustman, Jack finds the 1940 gravestone and, with another flood of memories, ends up in wartime London. And sure enough, he does manage to find the much younger teenage version of his grandfather, Davey. 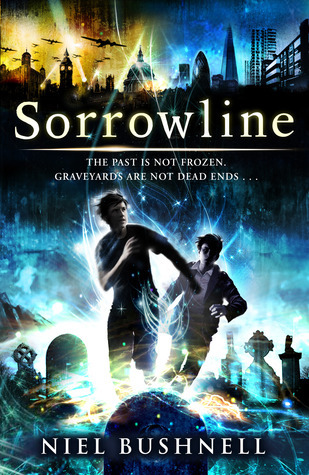 It seems that Jack is a Yard Boy, having the ability to travel along the Sorrowline that connects every gravestone to the date of the person's death. In fact, there is a whole other world, the First World, that Jack did know about, peopled with Yard Boys, Dustman, Paladins (undead knights), Boagymen, and of course, the power hungry, evil Rouland, who is also seeking the Rose of Annwyn. Yard Boys normally only travel downstream, that is from present to past and not very far into the past at that. But Jack has the ability to be able to travel not only downstream, and quite far back in the past, as far as 1813, but upstream as well, and he can even take a non-Yard Boy with him, making him a very special Yard Boy. Naturally, given his ability, and not fully understanding things yet, Jack begins to formulate the idea that he can return to 2008 and prevent his mother's death, something he has never come to terms with. And even though Davey keeps reminding him that he can't change history, Jack stubbornly holds on to this idea right up to the end. But naturally, it isn't as easy as he thought - Rouland has other uses for him, should he be able to capture and get Jack under his power. At the center of everything is the Rose of Annwyn. And so the quest is who will get to it first - Jack or Rouland? 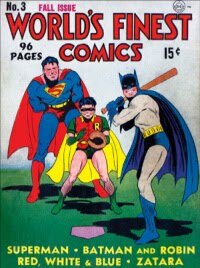 It is a fight between good and evil in the First World, just like the one that is raging in 1940 between the allied and axis powers - a rather nice parallel, I thought. This is a real action-packed fantasy adventure with lots of time travel. I particularly liked the way the time travel element worked - simply by rubbing his fingers over the death date on a gravestone opened the Sorrowline for Jack. And I thought it was a nice touch to include the memories of the deceased as he traveled back in time. Memories are so much a part of a person's life. On thing that did annoy me was that the Rose of Annwyn was really fully explained and it came late in the book. But that is a small complaint and the excitement of the quest for it made up for that. Aside from the parallel of power crazed leaders, I asked myself why was Jack sent back to the Blitz. Well, the most obvious reason it that it fit with his grandfather's age. The other obvious reason - the Blitz brought its own destruction of property and diverted people's attention, so that any destruction the First World inflicted on the Second World would be chalked up to the Blitz. And no one would pay much attention to Jack, Davy. Otherwise, this isn't really a WW2 book, though the descriptions of the Blitz are really spot on. This is the first book in a series, so a lot a time is spent explaining things to the reader that they need to know to enjoy this and future books in the series. But since Jack was also a novice to this new world he has become a part of, the intros and explanations worked beautifully into the story. This is a British book that I bought from the Book Depository, so I don't know if it will be published in the US or not, but it is still available online if you want to read it. And I would recommend it if you like time travel, fantasy, adventure and good world building. Meanwhile, I am looking forward to Book 2, due out in 2014. This sounds like such an exciting adventure and I really like the cover. One of my best friends has a son who is named Jack Morrow- so I am curious to read this. He may enjoy reading it when he is older (he is 7 now). This cover is gorgeous,Makes me wanna just go out and buy it.It's so eye catching!